Through creativity, innovation, and an abundance of care, we prepare minimally processed plant-based cuisine that is delicious, vibrant, and nutritious. Great Vegan food with wonderful atmosphere! The food is expensive for what it is. The menu doesn’t offer anything overly exciting. However, as a long time vegetarian it’s nice to have a veggie/vegan restaurant in town . Olivers is our go to date night, guests in town, it’s going to get dark tonight....place to celebrate! We’ve eaten here a couple of dozen times and have never been disappointed! We were delightfully surprised to find the cool patio ambience. Amazing vegan food even non-vegans wood love. Totally Santa Barbara style. A must if in Santa Barbara. We visit from the Boston area regularly and Oliver’s is always one of our favorite nights out! The food is wonderfully flavorful and filling. 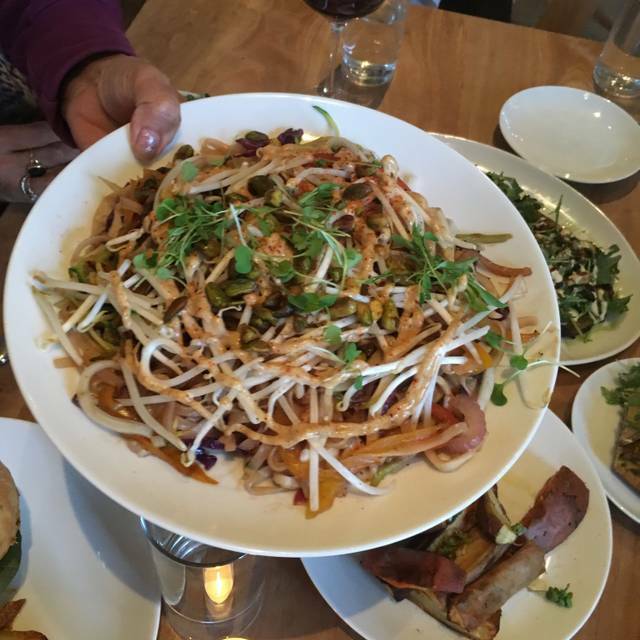 We especially love the pad Thai. Fabulous! Loved every bit of it. 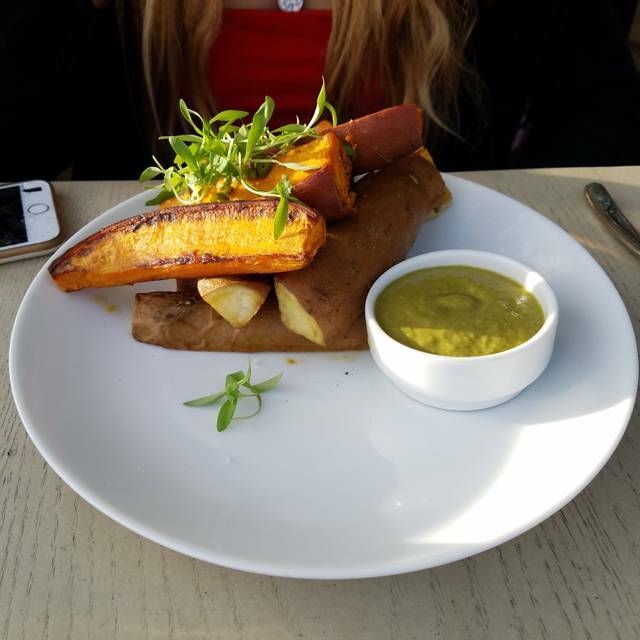 Sophisticated vegan dining ! Very plesant outdoor dining. Very nice staff. 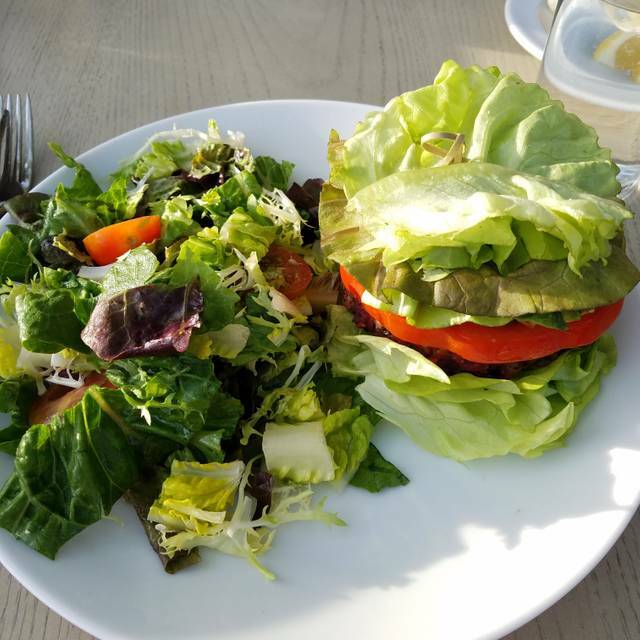 My veggie burger while kind of expensive was the best I’ve ever had, and as a thirty year vegetarian I’ve had many. The martini was super as well. I’ll be back. First time trying, I was very impressed and have been eating vegan ever since I went to Oliver’s. It’s only been 3 days but I feel a lot better eating healthier. Will be back soon to try more dishes. Everything is good on the menu you cannot go wrong with any choice. Excellent food. We absolutely love Oliver's. It is such a beautiful place, and everyone there is friendly and helpful. The food is amazing every time. Well... given that this is a 'vegan' restaurant, I was reluctant to give it a try. However, friends kept telling me that it was fantastic, so I gave it a try. And guess what? They were right! Starting with the valet, who was helpful and cheerful, through the reception and right up to the servers, all service was great! Good start! I was with a friend and we ordered two appetizers and one main course, all to share. They asked how we would like the service; eg, each appetizer and then the main or both appetizers and then the main; or even all at once! Just so nice to be asked our preference. We opted for the two appetizers at the same time and then the main. It was served perfectly! We had a bottle of wine to share and the prices were reasonable enough, although they had plenty of super expensive ones, too! Most importantly, each dish was fantastic. Layers of tastes, different from other dishes of a similar nature and most importantly, each had a distinctive flair! And the pad thai was a lovely variation on that theme, without sacrificing the basic essence of pad thai. And I forgot to mention the ambiance! No matter whether you sat outside on the patios, inside in the dining area or in the bar area, each was comfortable, lovely and unique. I highly recommend Oliver's and I will be sure to go back soon; and often! Beautiful place, great service, absolutely fantastic food! We will definitely come again on our next visit. We hadn't been for awhile because the weather wasn't conducive to sitting on their beautiful patio. Well, the wait was worth it. There is no place better to be than Oliver's patio on a beautiful evening. They have great bartenders who know how to make a proper Manhattan. The food was excellent. We got some our old favorites but some new offerings at well. They were all delicious. 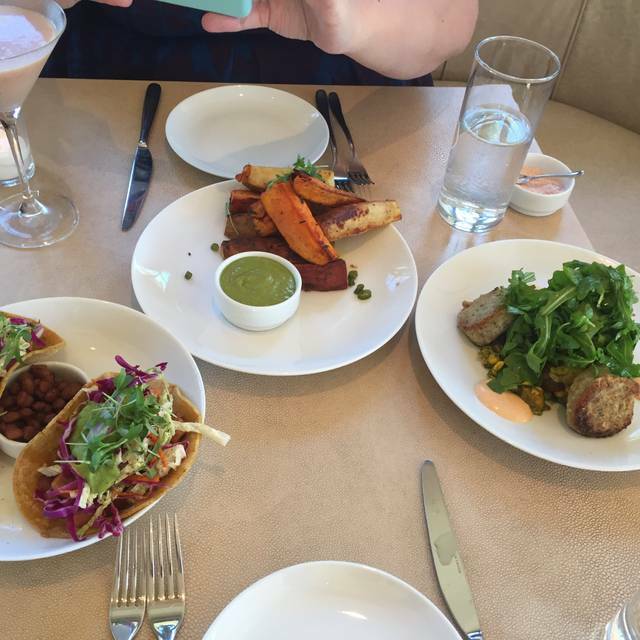 This is the best restaurant in Montecito, even if you aren't vegan. Unfortunately Oliver's did not meet our expectations. I do have to say that the ambience and the service were actually 5 star quality. It is a beautiful patio beneath a canopy of trees with lights. It was lovely. I also have no complaints with the service. Where it fell short was with the food. We all knew we were dining at a vegan restaurant so it wasn't that. It was the taste of the food- either too strong or spicy or just plain. Very disappointed with the meal overall - and we were sad- we really wanted to like it. Spent a lot of money for food that just didn't please. Despite being an omnivore I did enjoy the meatless meal here - some dishes really stood out and some were not to be repeated. I don't think I'll be converted to veganism any time soon as I just don't find these meals very satisfying - I don't see why you can't offer these options and still have an organic chicken breast or fish dish on the menu too? We're not talking about food allergies here - merely preferences. Anthony Bourdain nailed it when he said “Vegetarians, and their Hezbollah-like splinter-faction, the vegans, are a persistent irritant to any chef worth a damn"
Delicious unusual and healthy menu. Gorgeous restaurant/bar. Beautiful outdoor setting covered with olive trees and lantern-like lights dangling from the branches. Meh. Bland and mealy textures. Very nice ambiance. What a wonderful find in Montecito! We ate outside on the patio, which was just lovely in the setting sun. The staff was attentive, friendly and professional. The food was outstanding. We shared the dishes we ordered with our table, and everyone left satisfied. It was fun to try a lot of different dishes as a group. We will gladly return. Fine vegan dining with mostly GF choices. Everything is PERFECT--though our party would prefer a written dessert menu so we would know that the chocolate tart has a crust made of oats, which one of my friends cannot eat.... Great for anyone, not just vegans! 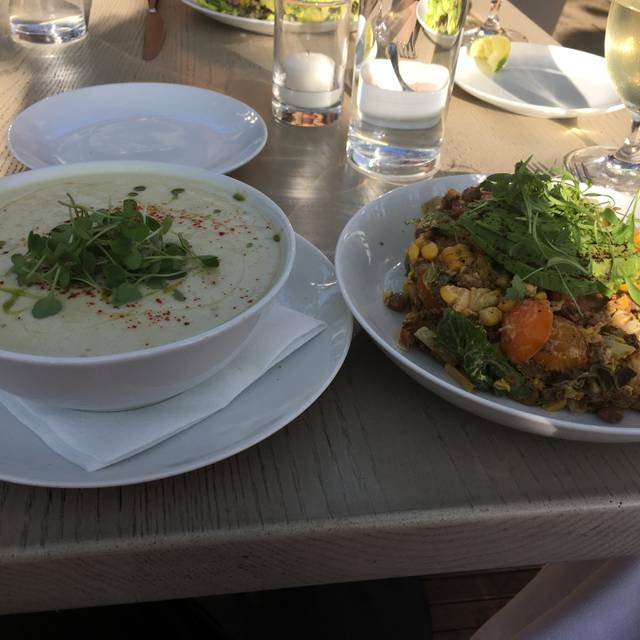 Oliver’s serves delicious vegan cuisine in a fine dining atmosphere. We’ve been twice and loved every bite! I chose Oliver’s as the dinner destination for my birthday and it did not disappoint. The atmosphere is gorgeous, the service from the staff is impeccable and the food is lovely. The patio is even dog friendly! I’ve been telling all my friends in LA that they have to make a trip up to try this place! Had a marvelous meal on the terrace! Loved every dish we tried. Staff was so friendly & helpful. Hope to go back again soon. Can't wait to go back and order the apple salad again! It was beautifully presented no added truffle oil in the soup) to the kitchen & everything came just as we had requested. We split 2 fruit cobbler-type desserts - one apple & the other peach/blackberry - and the servings were plenty generous (& sweet) for the 4 of us to share! Other than being a little noisier than usual, it was a perfect evening. Outstanding service and delightful cruelty-free food. I loved it! I am not a vegetarian but went with my son who is. The food was delicious and interesting. We really enjoyed the Thai curry, the broccoli and impossible burger. There were many other dishes we wanted to try. I am looking forward to going back. It was a perfect experience. Service was outstanding and knowledgeable. The food is a gourmands delight. Menu heavy on small plates suitable for sharing which was fine. Food was very creative and tasty. Service was efficient but it would have been nice to sense a bit of effervescence and enthusiasm. Even though I specified "Birthday" in reservation and mentioned "Birthday" when being greeted by host, there wasn't any acknowledgement. I even ordered a dessert thinking maybe they'd follow through with a candle on top but didn't happen. All fine but I should not have had the option to specify special occasion when making the reservation. Brianna gave us excellent service and was very knowledgeable about the menu she was serving from the food to the drinks. 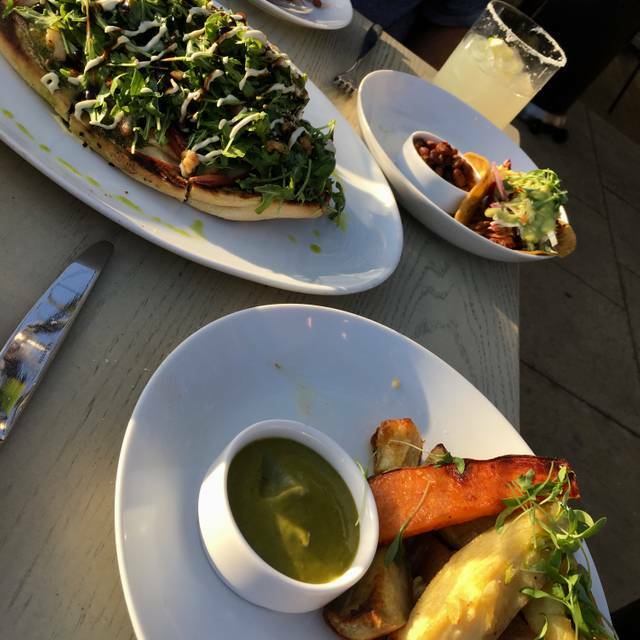 The food was amazing, a little on the pricey side, but the food and drinks were worth it and it should be expected while dining in Montecito. We had the pad thai and margherita flat bread. We also went for our anniversary and they made a special plate for us to celebrate. We will definitely be going back. I enjoy going to Oliver's every time I come to Santa Barbara. 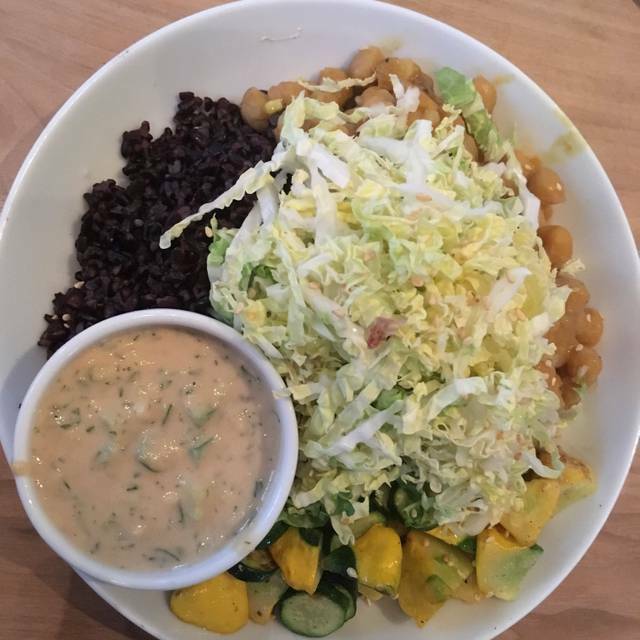 The healthful vegan cuisine is both creative and delicious. It's such a treat! They recently changed the menu to small dishes rather than regular sized meals, but it was still excellent. And the service has always been perfect. I love everything about Oliver’s! They have shifted their menu to align with the impulse to share dishes, something we always do. Tried the new Kung po cauliflower, it’s so good I anticipate needing a 12 step program soon! The most delicious menu. A treat for your tastebuds. Absolutely delicious! And the dishes were beautiful, too! This place is always consistently also good! Love everyhing about Oliver’s. We don’t come to town without visiting and it has never disappointed. Wish it was closer to where we live, - would come at today’s once a week. 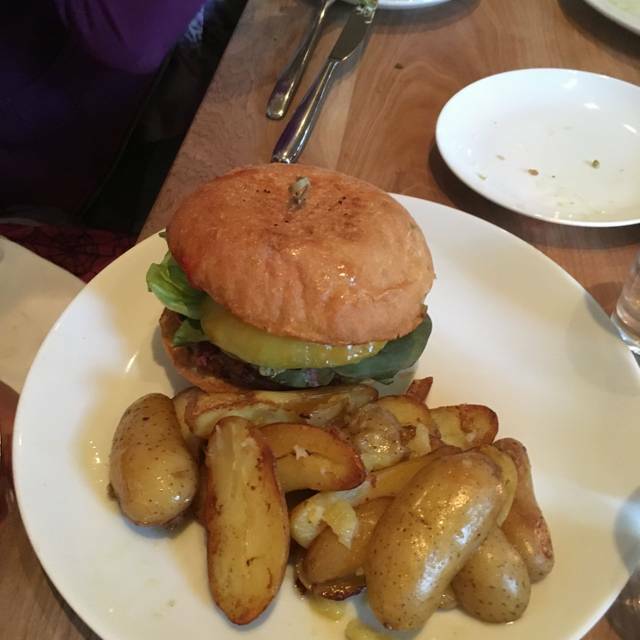 Best vegan burger I have ever had. Oliver's has become my new favorite restaurant. 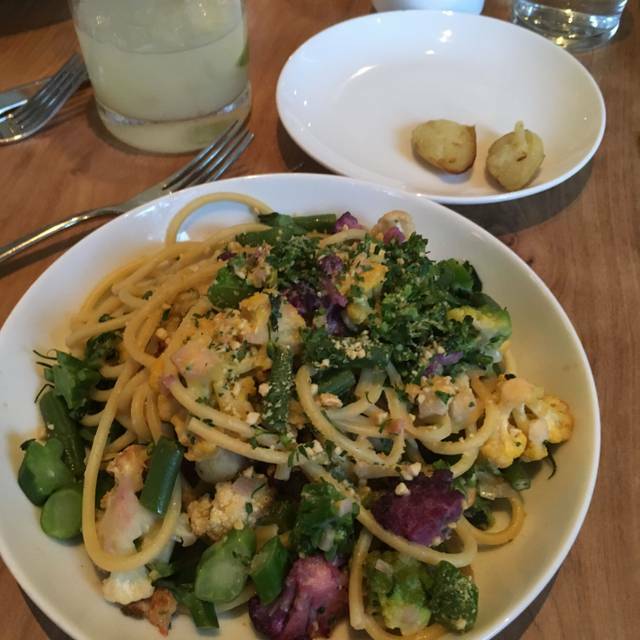 The food is as delicious and beautiful as the environment! I'm sorry to say we thought the food was bad, because the menu tries to "fake" "regular" food instead of just doing creative things with vegetables. Nut-sourced "cheese" (awful): why not let nuts be their nutty gorgeous selves? "Crabcakes" made of artichokes: why not a lovely fresh artichoke with brilliant dipping sauces? An "Impossible" burger that really is impossible to eat. Yummy white sweet potato soup of a startlingly immobile consistency. A competent and civil but slightly personality-disordered waitperson. Very amiable host and valet, however; the dining room is very pleasant--beautifully lit, calm beachy tones; and the wine list is small but good. If you find yourself here, you can have a good time, but I wouldn't go out of my way again. Incredible food with such a beautiful atmosphere/ambiance. One of the best restaurants in Santa Barbara, hands down.